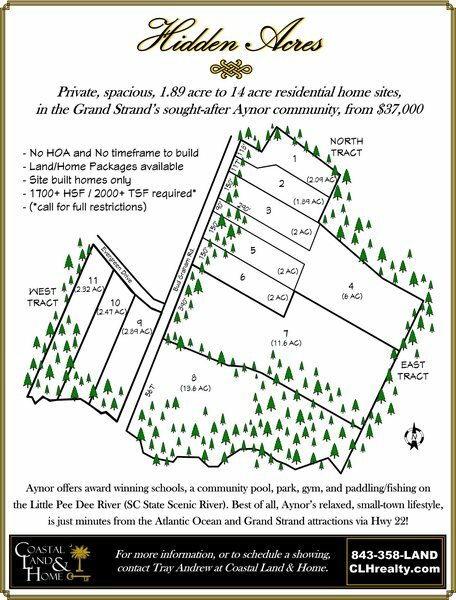 Private, Spacious, 2 acre to 14 acre residential home sites, in the Grand Strand's sought-after Aynor community, from $37,000. No HOA and no time-frame to build. Land/Home Packages available.